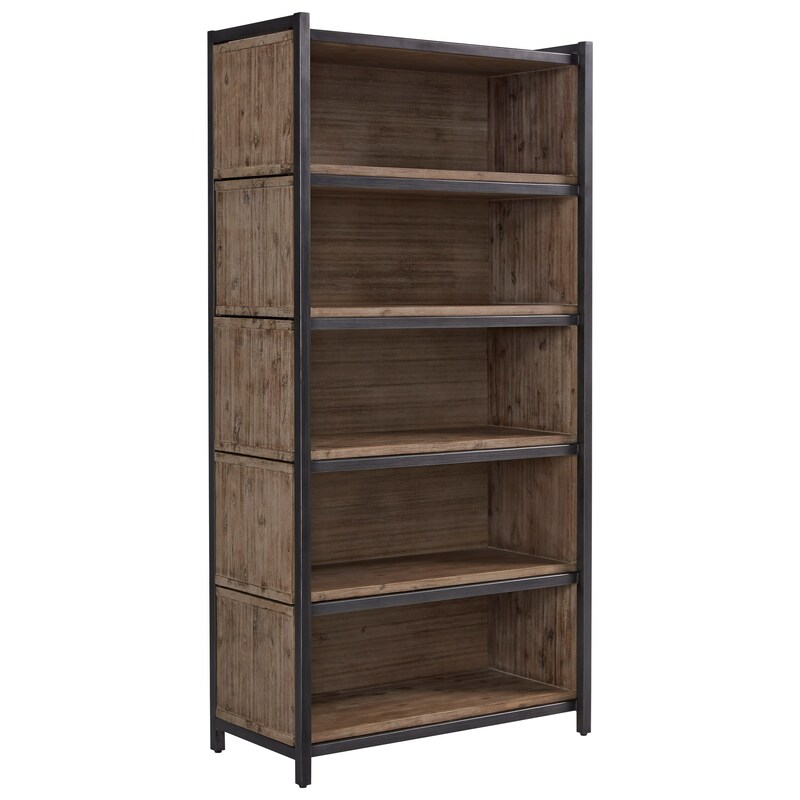 Showcase rustic industrial style while creating a unique display with this sliding bookcase. The bookcase features five shelf boxes that slide over to create 30% more display space. Fill the shelves with your favorite decorative accents, framed photos, and books, and mix up the look by sliding boxes out whenever you feel like it for a different shape. Crafted from solid acacia wood with a wrought iron frame, the piece has a distinctly industrial feel for your urban rustic style. The Dawn Industrial Bookcase with Sliding Shelf Boxes at Morris Home in the Dayton, Cincinnati, Columbus, Ohio, Northern Kentucky area. Product availability may vary. Contact us for the most current availability on this product. Drawer / Shelf Construction Finished backs and sides on shelf boxes and frame. Construction: Case Stainless steel and solid acacia.